Nellie’s All Naturals is our newest brand. This week our CEO Tim Laarman tested the WOW Mop. Watch the videos and find out why Nellie’s is Europe’s new standard for eco-friendly cleaning. Read this introduction also in Dutch. 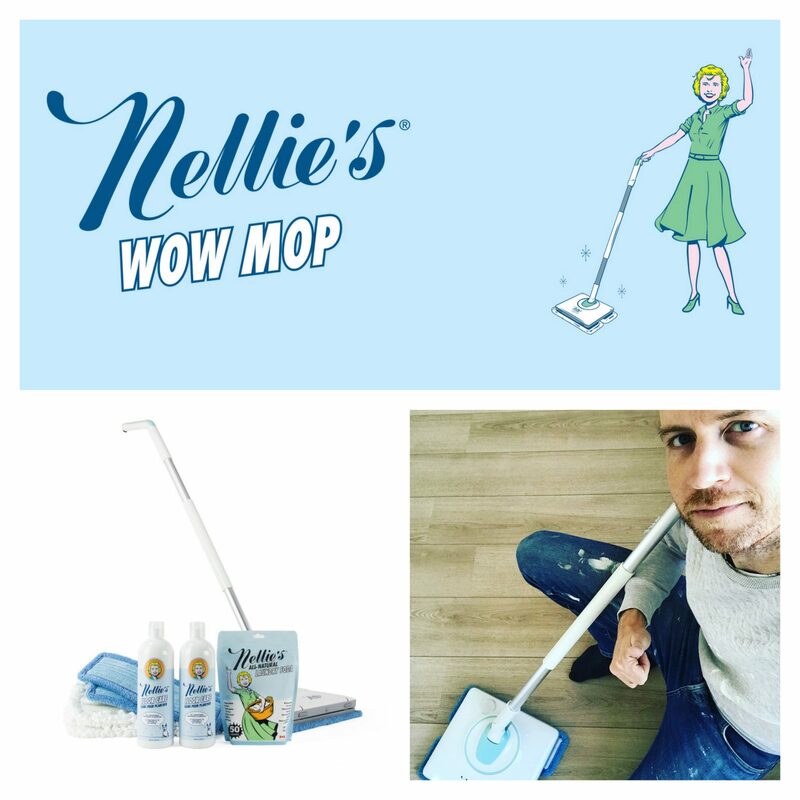 Nellie’s offers two types of Cleaning Pads, specifically designed for the WOW Mop. One for wet floors and one for dry floors. The pads can be reused up to 100 times. For the best results in both cleaning and maintaining, Nellie’s products can be combined. Find out more about using Nellie’s Products, read our special brand introduction. All Nellie’s cleaning detergents are plant based. The WOW Mop itself is also very sustainable. The Spray function makes sure you use the right dose detergent, don’t spill any and don’t use too much water. Furthermore, did you know that the WOW Mop runs for almost an hour without charging? That’s longer than we are used to. The WOW Mop is now to be ordered at Stoqk International – as first of all Nellie’s cleaning products we will start distribute in Europe this summer. No customer yet? Contact us and we get you started. Nellie’s is the new standard for eco-friendly cleaning. This entry was posted in Stories and tagged Cleaning, Mop, Nellies, Washing the floor, Wow mop.